Angela and her coaching skills and strategies have been rewarding for me and my family. We look forward to our conference calls with her. Call her to get started with one of her programs. New Beginnings Today is always in search of new opportunities to help others focus on self-care and the benefits of being mindful of personal health and well-being. Angela Mozelle is excited to share her expertise and joy for caregivers at your next event in various formats, such as, keynote addresses, workshops, presentations, moderated discussions, and focus groupings. Rates and honoraria vary according to nature of presentation, group size and other logistics. Please contact us to provide more details on the specific needs of your group or organization. New Beginnings Today has helped a number of grief support entities such as mortuaries and support groups provided a value-added service for their clientele. New Beginnings has two offerings: retained resident grief counseling services and professional development support for grief professionals. Benefit to customers: Grieving families are overwhelmed, fearful, and anxious as they move toward making final arrangements for their loved ones and the months that follow the loss of family members. 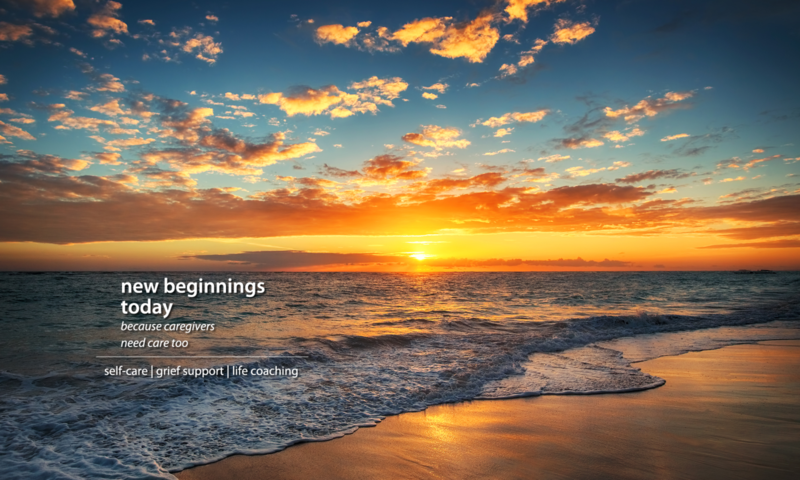 New Beginnings Today offers much-needed listening and encouragement during this difficult time, freeing your staff to focus on burial logistics and other business concerns. Offering grief support by your company reinforces the compassion and care provided to clients during their bereavement. This service creates the opportunity to foster long-term client relationships, enhance your brand and increase your business prospects. Benefit to staff: Supporting your staff as they counsel and assist grieving families can help stave off burn-out and low morale. Sessions are designed to equip employees with strategies to help customers navigate final arrangements, family dynamics that arise and related needs. The service communicates to your staff that your company cares about their wellbeing and wants employees to have positive customer interactions. Coaching for the staff also supports maintaining positive client relationships and continual service to the community. Contact us to today to arrange a meeting to discuss your needs and how New Beginnings Today can enhance your work.